Addressing his first rally in Bastar's Jagdalpur, PM Modi lashed out at Congress for not doing enough in the poll-bound state. Jagdalpur: With less than a week left for the Chhattisgarh Assembly elections to kick-off, Prime Minister Narendra Modi and Congress President Rahul Gandhi began campaigning in the state's Naxal-hit areas on Friday. 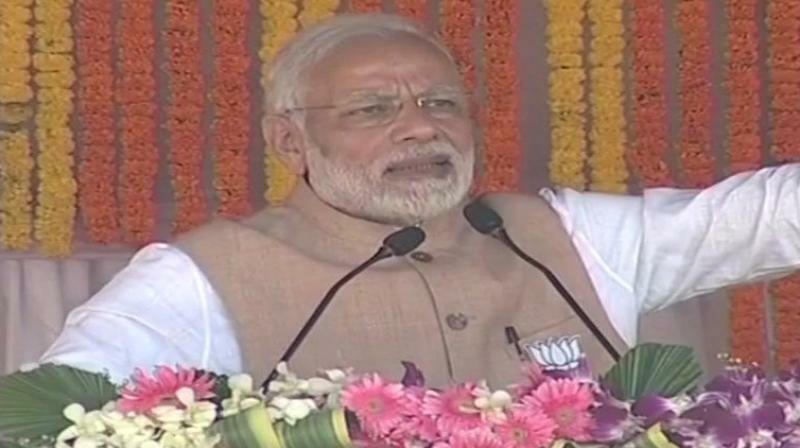 PM Modi, who was addressing a rally in Bastar's Jagdalpur, lashed out at the Congress and questioned the party's intentions behind backing urban Maoists. "Urban Maoists live in AC surroundings, move around in big cars and their children study abroad, but they ruin the lives of our poor Adivasi youth here through remote control. Why is Congress supporting these Urban Maoists?" Modi asked. Addressing his first election rally in the state, PM Modi also said he will not rest till he fulfils late Atal Bihari Vajpayee's dreams for a prosperous Chhattisgarh. He urged the people of Bastar to teach a 'fitting lesson to the Congress leaders', who on one hand try to shield the urban Maoists, and in Chhattisgarh, they speak about freeing the state from Maoists, Modi said. He added that the Congress-led government did not do enough to develop the Naxal-infested Bastar region citing the Maoist menace. Assembly elections are scheduled to be held in Chhattisgarh next week in two phases on November 12 and November 20. The first phase is to be held in the Naxal-affected constituencies of Bastar region that falls in the southern part of the state.